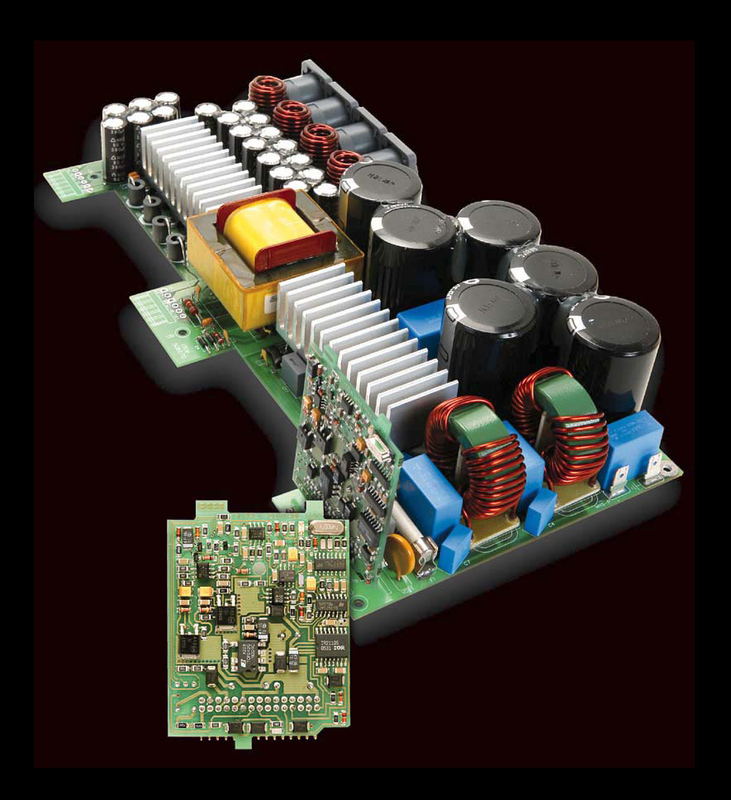 Modern power amplifiers have developed into light, powerful, versatile, rugged and reliable instruments designed to keep working in the most arduous conditions. 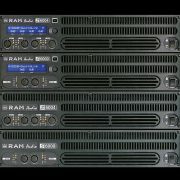 At RAM Audio, we have an enviable reputation in the industry, and continue to stay at the forefront of audio design by offering our many customers all those concepts combined with the following major advantage: a sensible price level for our pedigree products. This is made possible by our constant development of state-of-the-art designs, together with meticulous component selection and rigorous supervision of assembly quality. 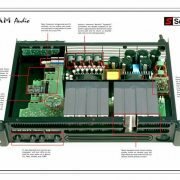 The S Series of RAM Audio amplifiers distils all these features to fulfill all your needs, whether you’re starting a P.A. 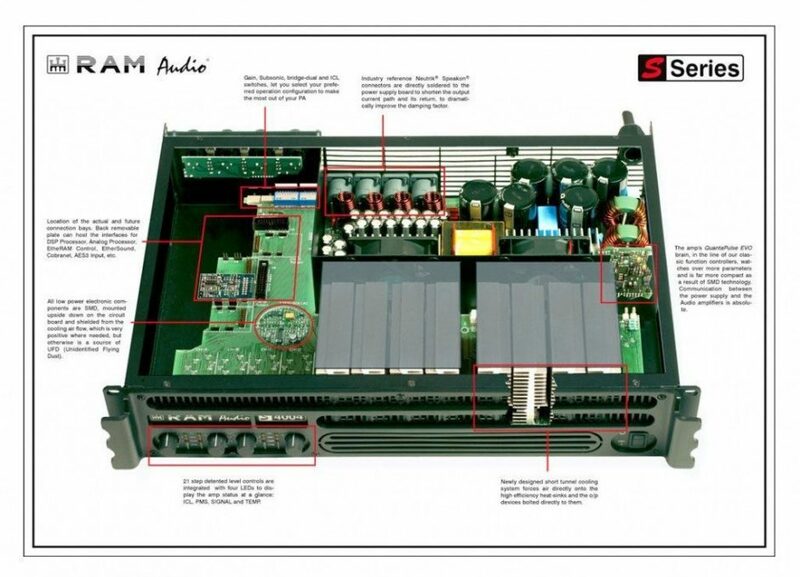 amplifier project from scratch, or you need to upgrade your present sound reinforcement equipment. 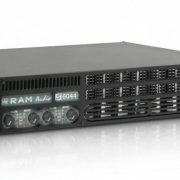 In the S Series amps, you’ll find five 2-channel models and five 4-channel models, all offering plentiful power levels at low distortion in the range of 1.5 to 6 kilowatts, yet weighing in around 8 kilos and 30 cm deep. 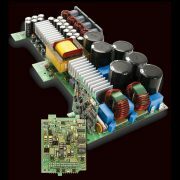 • Standard Signal Inputs Module: The S Series amps are equipped as standard with twin Neutrik® XLR, doubled by two other XLR connectors for linking purposes. 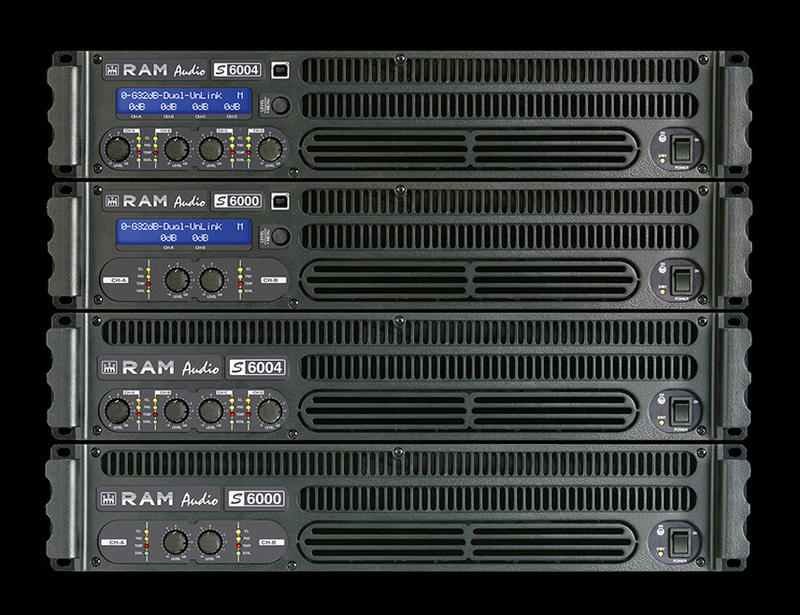 In the 4 Channel models an XLR input per channel is provided with the signal linking facility. • GPIO Control Module: it has a general purpose input and output connector to interface with third party controllers like an alarm system. It permits to control the turn on and to report the operating status.